Two weeks ago, when I was still on vacation, we took a trip to the Miami area to run errands and so that I could go to one of my favorite knitting shops. The Knitting Garden is a very nicely set up shop with a comfortable atmosphere. It’s located off of Ponce De Leon Boulevard in Coral Gables. I bought four skeins of off white Misti Alpaca Pima Cotton and Silk blend. I was mentally drunk at the time (you know when you feel all light-headed and giggly but he haven’t had any alcohol and you decide to do something that is against your better judgement.) Maybe I was drunk on yarn, surrounded by all those magical varieties of soft shiny material that I could transform into useful objects. So I handed my credit card over and held my eyes tightly shut. Last weekend, we went to Tennessee for my husband’s daughter’s wedding and with so much car time, I began knitting a shirt for myself. This is my first sweater/shirt for an adult. 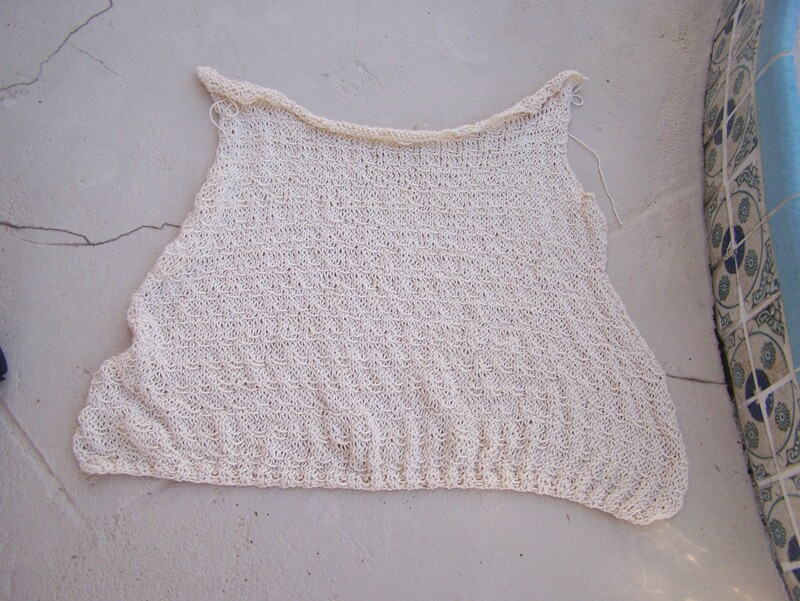 I’ve done shrugs and shawls as well as baby sweaters but never completed a sweater/shirt. 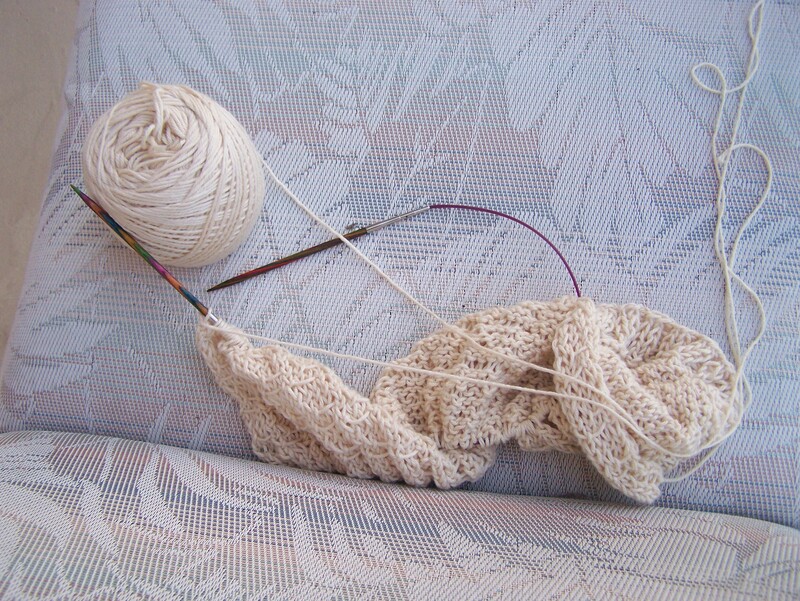 The pattern I’m using is straight off the misti alpaca site. I’m definitely leaving off the cowl and probably the sleeves. I’d rather have the sweater longer. I tried adding on to the bottom rows but when I was done with the back, it still seemed very short. Hopefully after I block it, I’ll have more length. Here are the pictures of what I’ve done so far. I love the soft material and think it will make a great light summer shirt to show off.